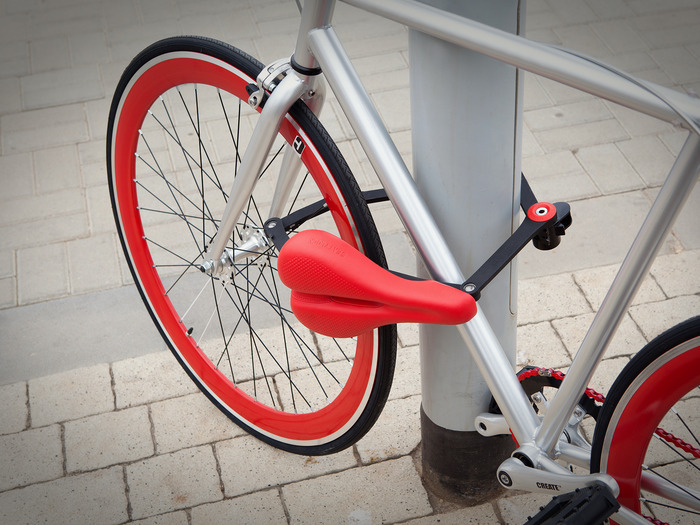 Seatylock Is An Elegant Bike Lock | OhGizmo! By David Ponce on 09/22/14 • Leave a comment! Securing your bike in an urban environment normally involves carrying a separate lock, whether a chain or U-shaped. And while you may be able to tie down your frame and wheels, your seat will still remain vulnerable to theft (yes, it happens). 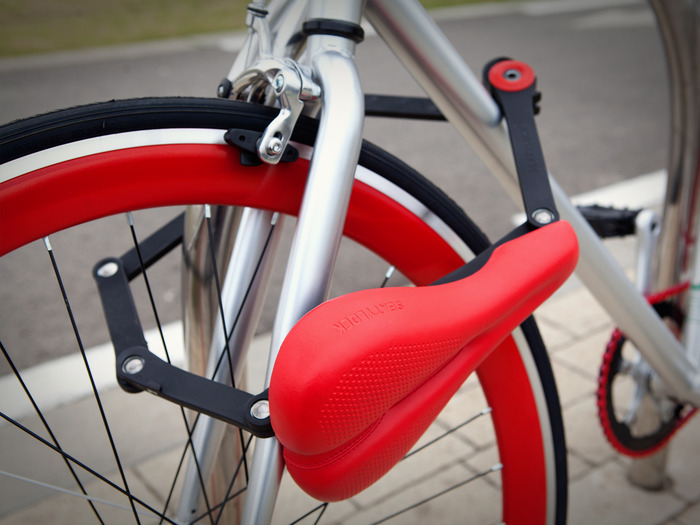 With the Seatylock, your seat is the lock. Simply remove it and extend a 1 meter solid lock that will tie your bike down securely. 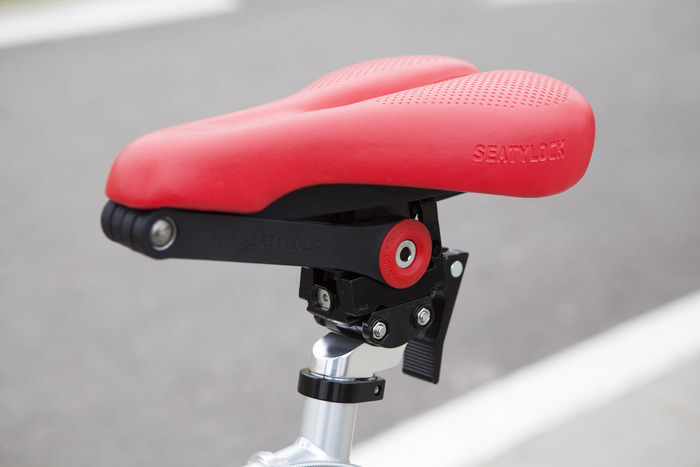 “Seatylock has a universal adaptor that enables easy compatibility with any standard bicycle. After a simple installation it can be adjusted to your preferred saddle position.” Retail will be $129, but you can get it now for an $85 pledge, in either the narrow “trekking” configuration, or the wider “comfort” shape.